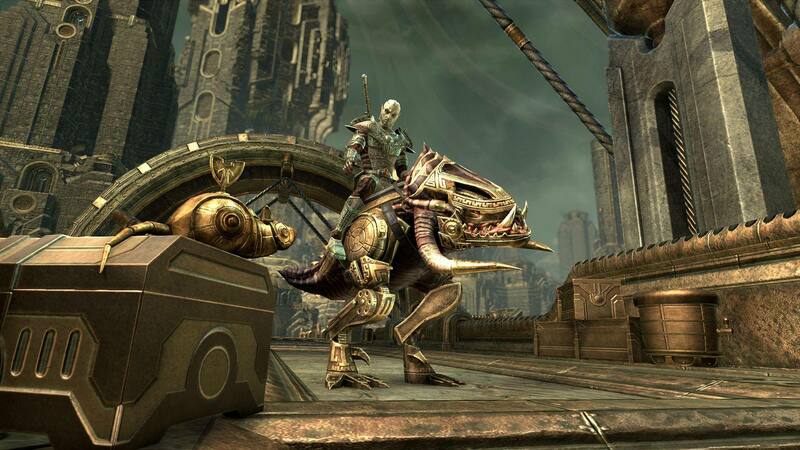 The Elder Scrolls Online: Explore a Mechanical Marvel during the Clockwork City Celebration Event! The Clockwork City Celebration Event is almost here! Get ready for double rewards, Event Tickets, and Indrik Feathers! The event starts on Thursday, November 15 at 10:00 AM EST and ends Monday, November 26 at 10:00 AM EST with participants earning additional rewards for certain activities in the zone. These include harvesting crafting nodes, completing Daily Quests and taking down Bosses. To begin your adventure, you should seek Divayth Fyr’s messenger in Mournhold’s City Center and acquire the quest “To The Clockwork City”. Then, use your map and travel to the Clockwork City and the Brass Fortress. Additionally, those who enter the Brass Fortress for the first time will get the Scintillant Dovah-Fly pet, for free! What is more, the event will give you another chance to get Event Tickets, plus the second of the four Indrik Feathers needed to summon your very own Indrik Mount! To get Tickets, you should complete Daily Quests in the Fortress. The first Quest that you complete each day will give you two Tickets. Of course, you will also receive all other regular rewards. And don’t forget that once you have gathered 10 Tickets, you can trade them for an Indrik Feather! To do so, you should go to the Impresario (Daggerfall in Glenumbra, Davon’s Watch in Stonefalls, and Vulkhel Guard in Auridon). Finally, if you don’t own the Clockwork City DLC game pack, it is on sale for the duration of the event at a discounted price. Also, at the Crown Store, you can find the Clockwork City Collector’s Bundle for a special price. It includes the DLC game pack, the Clockwork Skeevaton pet, the Kagouti Fabricant mount, and Five Crown Experience Scrolls. 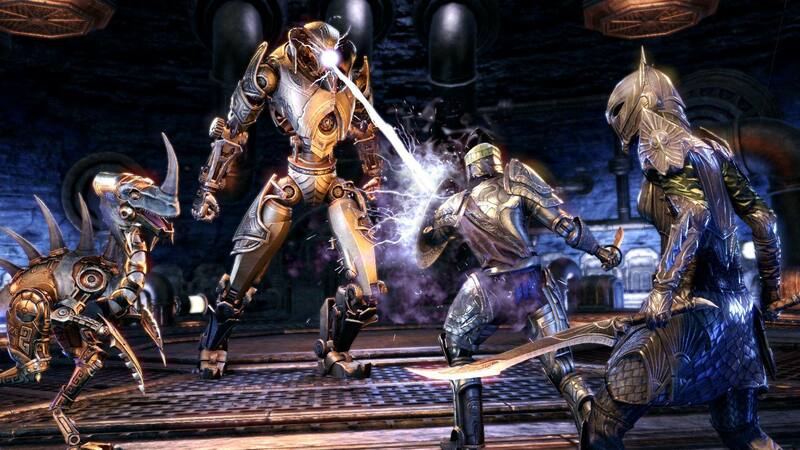 The Elder Scrolls Online: Clockwork City DLC Game Pack Now Live!